Liuzhou Forest City, designed by Stefano Boeri Architetti, will be built in the north of Liuzhou in China. The city will host 40.000 trees and almost 1 million plants of over 100 species, and will be able to absorb almost 10.000 tons of CO2 and 57 tons of pollutants per year and produce 900 tons of oxygen. Liuzhou Forest City will be completely energy self-sufficient and sustainable. 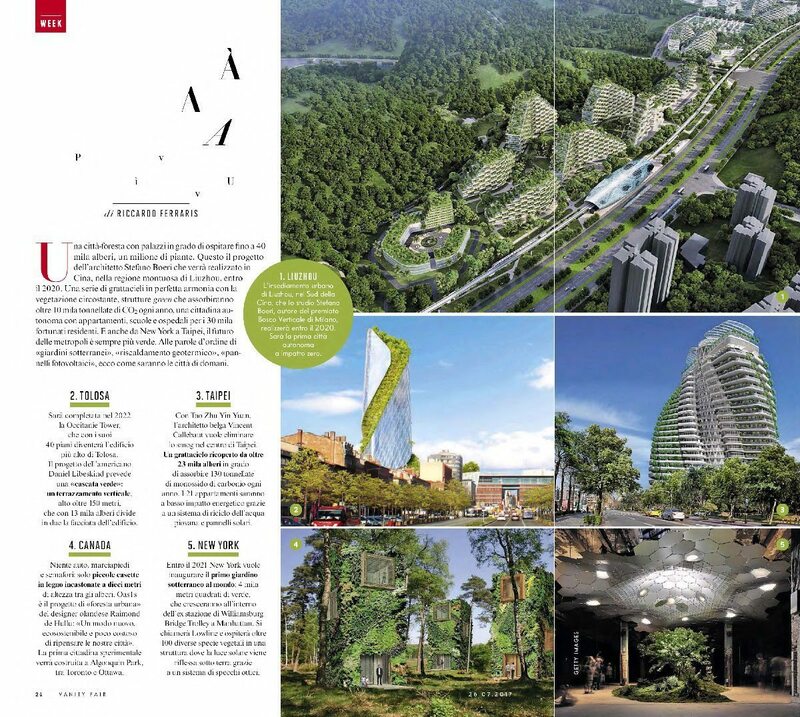 As the architect Stefano Boeri’s projects, the future of architecture takes the way of an increasing green development.